It’s already the middle of August and fall is in the air even in Georgia! Here are some easy to do, budget friendly, DIY fall decorating ideas that will hopefully give you some inspiration for your fall decor. 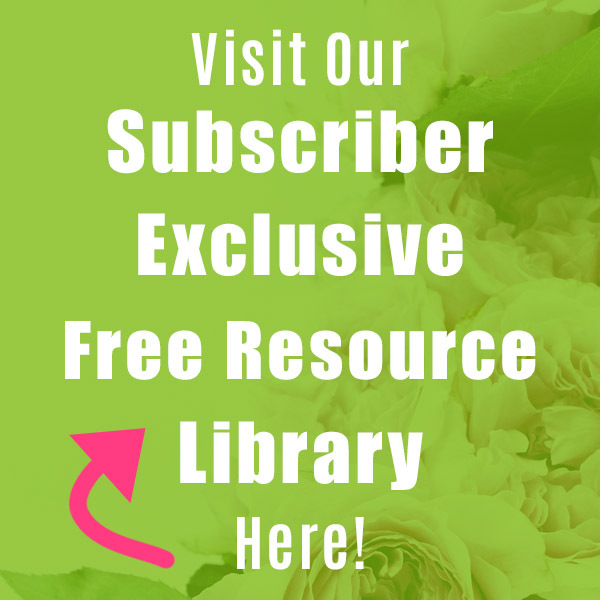 Be sure to visit the bloggers that are featured! via Stone Gable Decorate with inexpensive fall flowers like mums. Dress them up by putting them in a beautiful urn, inside a pumpkin, or wrap the pot with burlap. 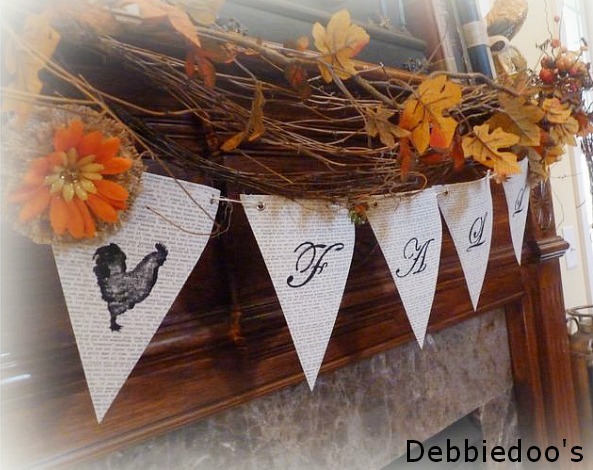 via Debbiedoo’s Make an easy fall banner like this one for your mantel or a shelf. 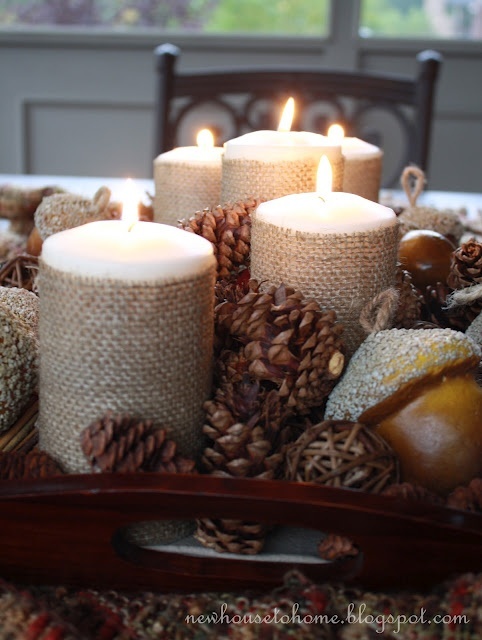 via Shanty 2 Chic Fill glass containers with pinecones, acorns, leaves, mini pumpkins, candy corn or branches from your yard. 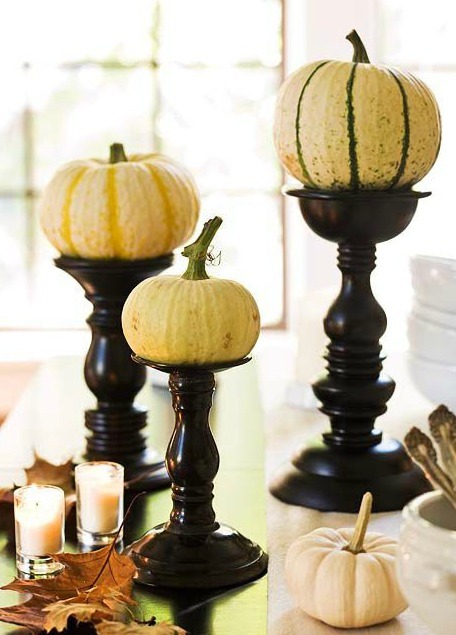 via BHG Place real or faux pumpkins on top of candlesticks that are painted to coordinate with your color scheme. 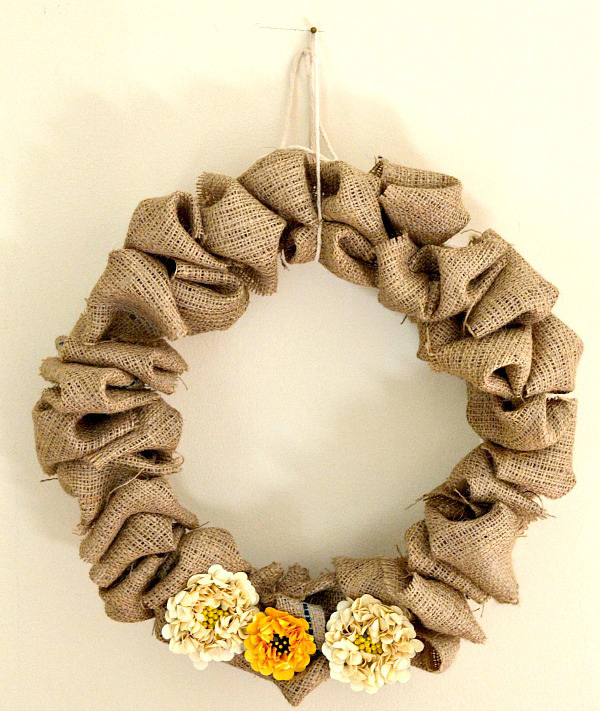 via SheKnows Make a easy fall wreath from burlap which is a really inexpensive fabric. via New House to Home Dress up ordinary candles by wrapping them in burlap or ribbon. 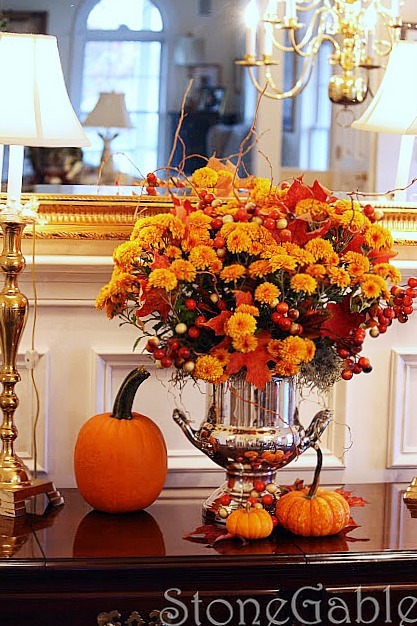 Hope you’ve found some inspiration to decorate your home for fall! You always have such great ideals. I look forward to your post every week. What wonderful ideas. Just the other day I was in an antique mall and picked up a silver ice bucket and put it back down again. Now I wish would have kept it! LOL! I had one and donated it last year. Now I wish I had kept it! Love the use of burlap! The candles and the wreath are both awesome and look easy enough for me to tackle! Have a blessed day dear Manuela, HUGS! Great ideas, Manuela! I’ve done the pumpkin on candlesticks one on my mantel and will probably do it again this year. We had a nice taste of Fall in the air the past couple of weeks, but this week turned hot and humid again. It’s so not autumn here yet but your pictures and the linky are inspiring me. I’m making a note to myself to participate. These are lovely and make me long for cooler days! I especially love the mini pumpkins on candlesticks and will be considering that one especially if I can find those cute yellow pumpkins! Just spray paint the ones you have. That’s what I do. I’ve spray painted mine red, yellow, black, green etc. I buy the fake ones at the end of season and then you can just do what you want to them. thanks for the wonderful inspirationen. love the idea from the last photo,really easy,but soooooooooo beautiful!!! Very nice fall ideas! I like the pumpkins on the candlesticks–I have similar candlesticks on my mantle; I could just swap the candles out for pumpkins! 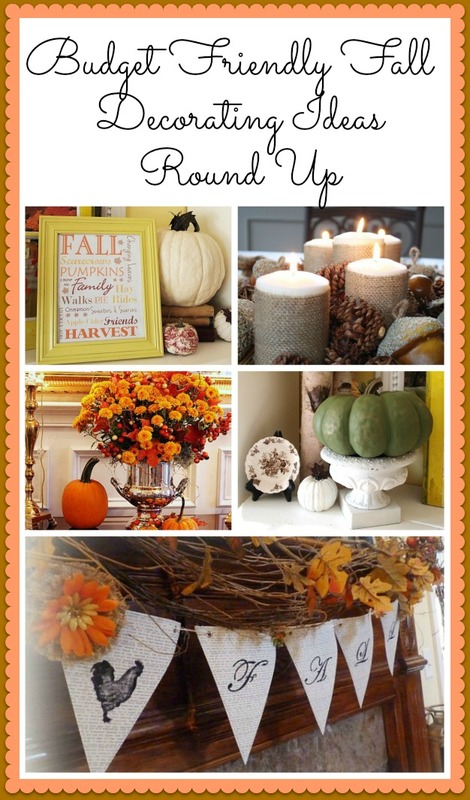 May I use your graphic about Fall Decorating as a button in my sidebar or are you making a button? You can find burlap at Hobby Lobby, Jo-Ann, Hancock etc. Do you have those near you? If your Wal-Mart still carries fabric (mine doesn’t) you may also find it there. Even Michael’s has burlap wide ribbon that is commonly used to make wreaths. You most certainly can use that graphic. I also have a smaller one on my fall decorating pinterest page if you don’t want to resize the one in the post. Perfect – I’m all about Fall right now! It’s all so pretty, but I am not ready! It’s 90 degrees and sunny, and I cannot part with summer just yet. I also wanted to say thank you for stopping by and leaving comments. I really appreciate it, and I don’t take the time to say thanks often enough. LOL! Well it was feeling like fall here but now it’s hot again! I’m tired of summer. It’s been hot, humid, wet and generally not like any other summer we’ve had here in Georgia. No fun. I’m ready to move on! 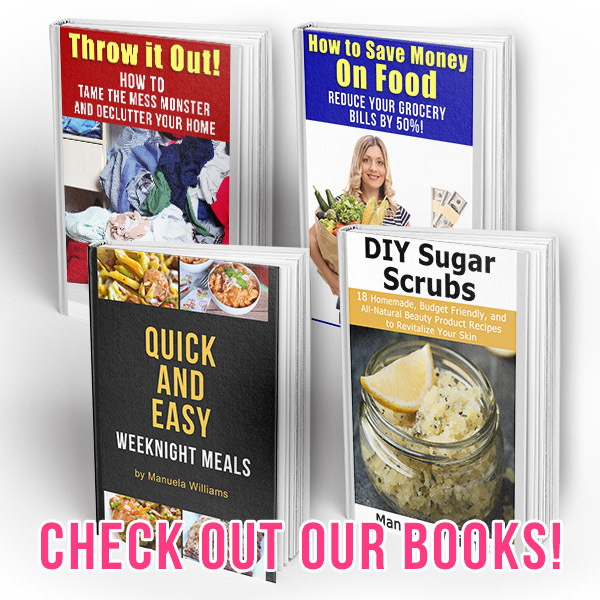 Thank you for stopping by and leaving a comment on my blog. I appreciate it! You have the most beautiful photographs so it’s always a pleasure to visit you. 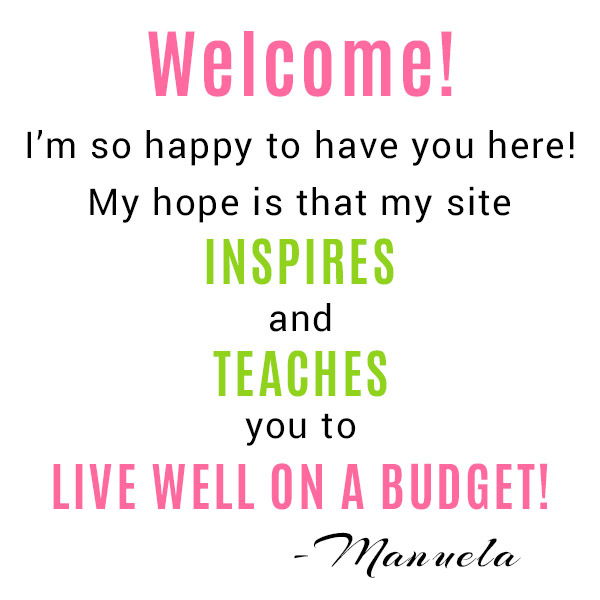 Hi Manuela, I love your colorful style. The ideas are just irresistible. For years, I have stubbornly refused to think fall until the temperature gives me permission. THIS YEAR, I’m stepping out early. I enjoy the season. I enjoy decorating for it, and why not just embrace it? I’m excited for your September series and love these ideas. Thanks Debbie! I don’t normally start decorating for fall until October because I usually plant a fall garden. But not this year. So I can get an early start! 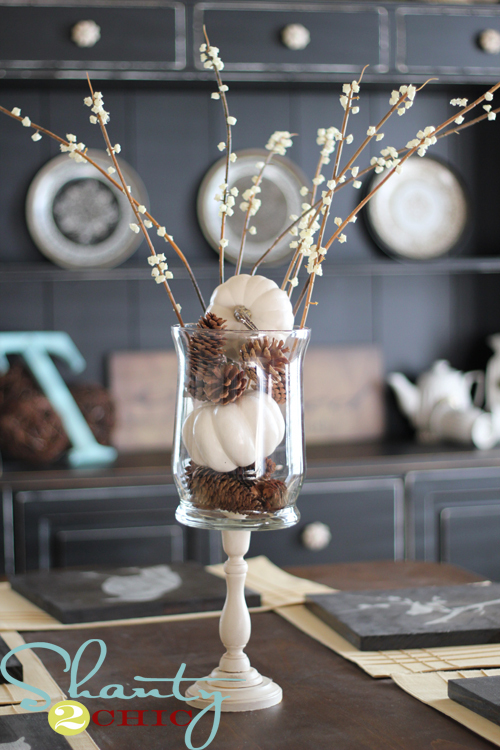 Autumn is my favorite season and I cannot wait to pull out the fall decor. Last year we had my dd’s wedding in October and used a lot of burlap and old silver, so I’ll be using the leftovers this year. After a week of perfect fall temps, summer has returned with a vengeance to Nebraska, with the phrase “oppressive heat” in the forecast for the next 7 days at least. I’ll wait another week or so to decorate, but leaf garlands might just be the thing to beat the heat, huh? I love burlap and silver together! It’s not quite as fallish today but it’s still cooler than it’s been all summer. I’m ready for fall! 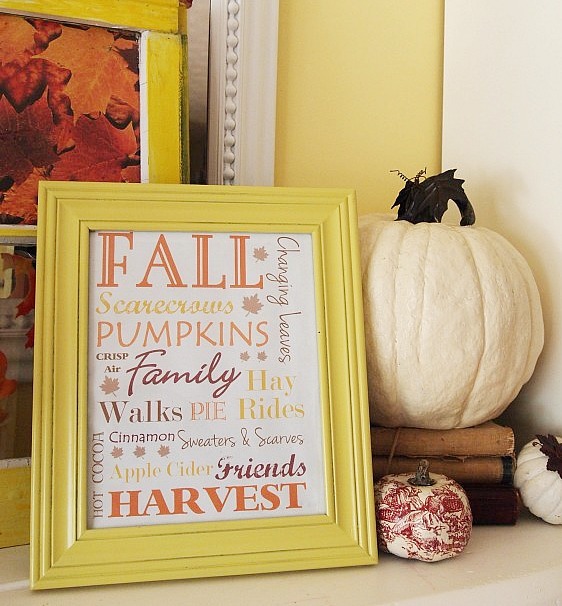 It’s hard to believe it’s already time to think about fall decorating! I am so ready! 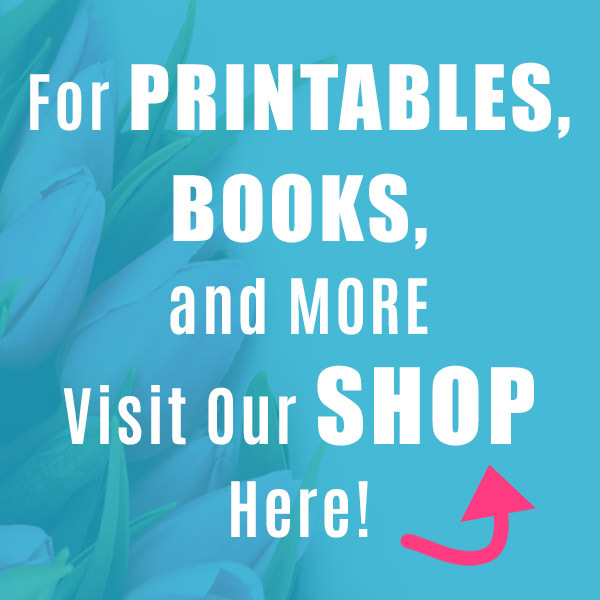 Thanks for showcasing my banner, easy peasy and fun! It’s hard to believe that almost a half a year has gone and now we are ready for fall. All these fall decorating ideas are great.Love the color and styles!! Those are all great ideas, I have opened one in a new window so I can pin it. Thanks! I am sooo NOT ready for fall. Summer flew by too fast and since it’s still in the 90’s here in West Texas, we don’t feel like it’s fall until late Sept. or Oct.